Is you or you parents a pensioner of SSS? 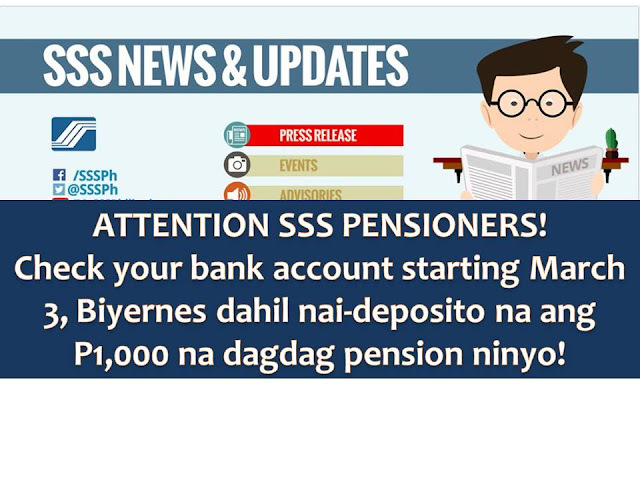 Well, the long wait is over because, starting March 3, 2017, Friday, SSS retirees may withdraw in their bank accounts the additional P1,000 in their pension. 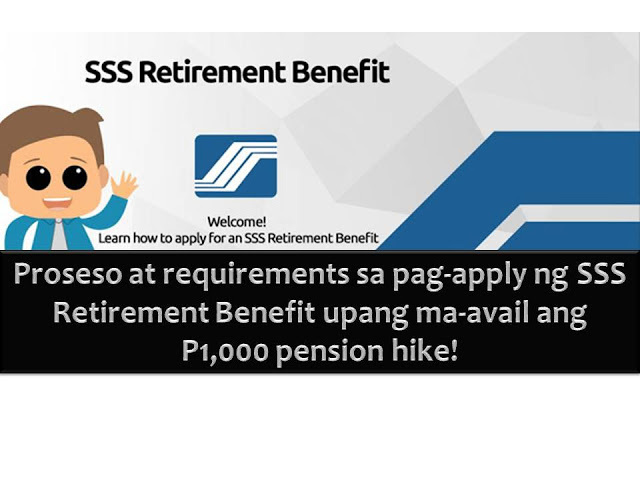 SSS released around P2 billion for its pensioner for the month of January after P1,000 pension hike is approved. 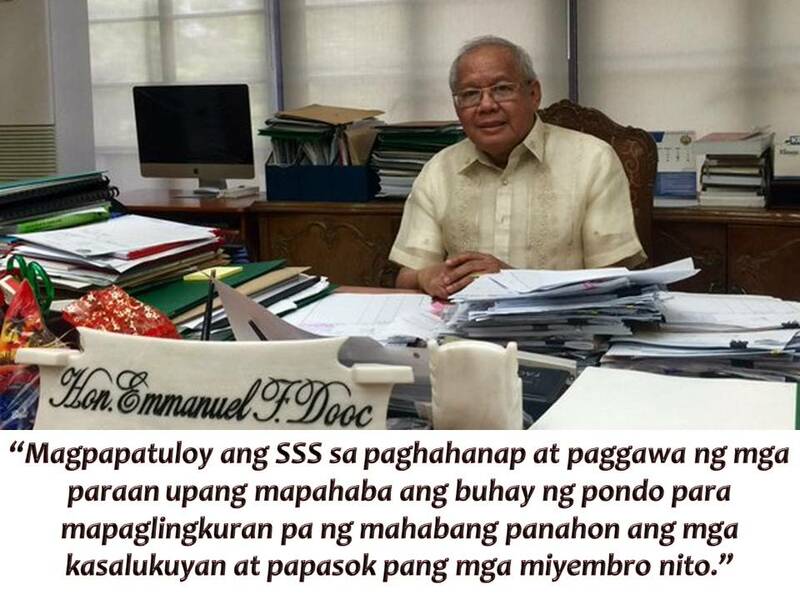 SSS President and Chief Executive Officer Emmanuel F. Dooc said more than 2.04 million pensioners can now get their additional P1,000 benefits. According to the new process of pensioner's name listing by the Information and System Department, the money is already deposited in the bank account of pensioners and can be withdrawn starting, Friday, March 3, 2017. All retirees, survivors, permanent or with partial disability pensioners will be able to get P1,000 additional in their pension. New pensioner of SSS will be enjoying the same benefits. Meanwhile, additional pension for the month of February and March will be given in the next Fridays of the month, March 10 and 17. 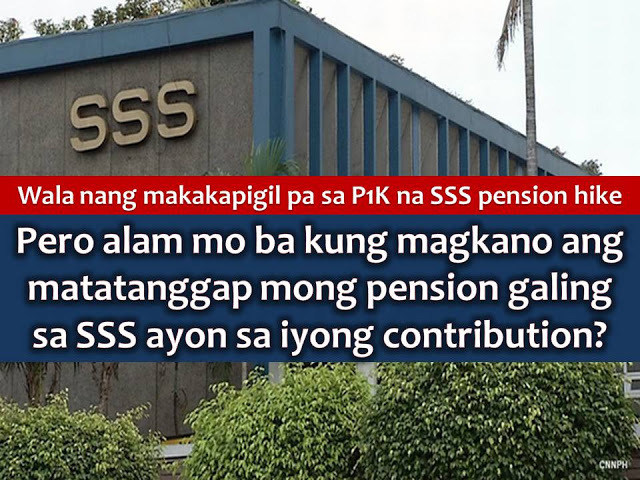 HOW MUCH WILL YOUR SSS PENSION BASED ON YOUR CONTRIBUTIONS?